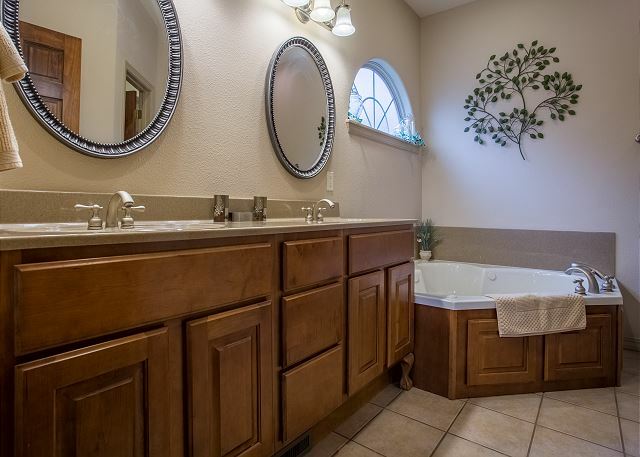 Sensational Chateau Main Level Living Area Main Level Living Area Main Level Living Area Kitchen Kitchen Kitchen Dining Area Washer and Dryer in Property! Main Level King Master Bedroom Main Level King Master Bedroom Main Level Master Bathroom Main Level Master Bathroom Main Level Queen Guest Bedroom Main Level Full Guest Bedroom Main Level Guest Bathroom Downstairs Entertainment Area with Sofa Sleeper Downstairs Entertainment Area Downstairs Entertainment Area Downstairs Entertainment Area Downstairs King Guest Bedroom Downstairs King Guest Bedroom Downstairs Theater Room Downstairs Theater Room Downstairs Twin Beds Guest Bedroom Upstairs Screened Deck Upstairs Screened Deck Downstairs Patio Sensational Chateau Fairways Pool Fitness Room Playground Tennis Courts Playground Sand Volleyball Court Basketball Court Clubhouse Restaurant Clubhouse Ledgestone Golf Course Stonebridge Resort Stonebridge Resort Ledgestone Golf Course Stonebridge Resort Stonebridge Resort Ledgestone Golf Course Walking Trails Ledgestone Golf Course Close to Silver Dollar City! 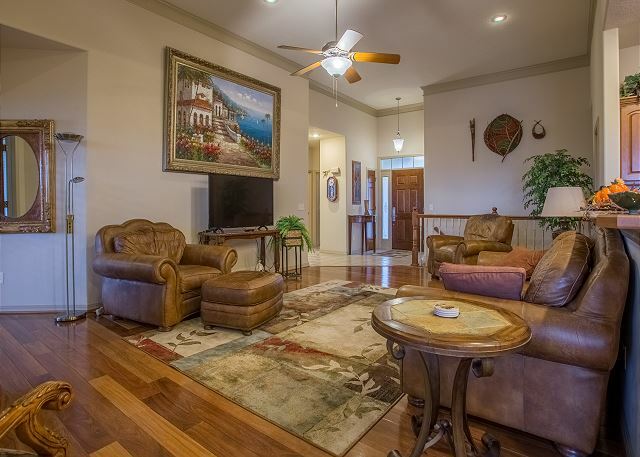 You'll want for nothing when you rent this GIGANTIC 4 bedroom, 3 bath villa at Stonebridge resort! 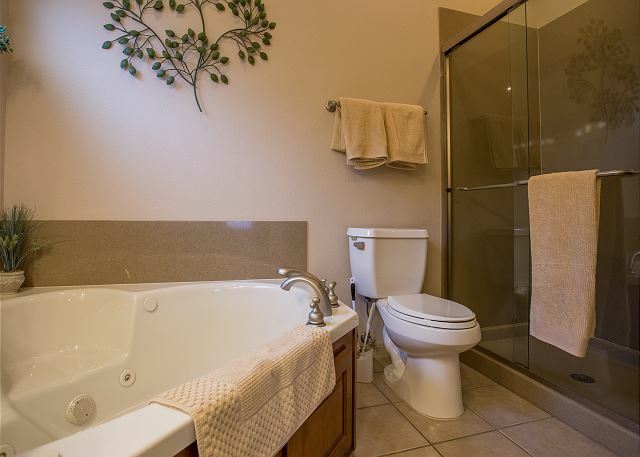 The perfect place to rest and all the fun you can have are put together here at Sensational Chateau. This two story villa includes 4 large bedrooms, a huge living area with a beautiful and spacious kitchen, a classy pool table, and even a theater room! Kick back in comfort and style as you watch your favorite flick on a giant flat screen TV, complete with surround sound! After your movie party, play a game of cards over some coffee as you chat about all the fun plans for your Branson vacation! Don't be afraid to whip up a tasty snack, either, as there's plenty of fridge space to store any leftovers. Oh no! A spill on your favorite shirt? Not an issue: there is a washer and dryer unit available for your use. 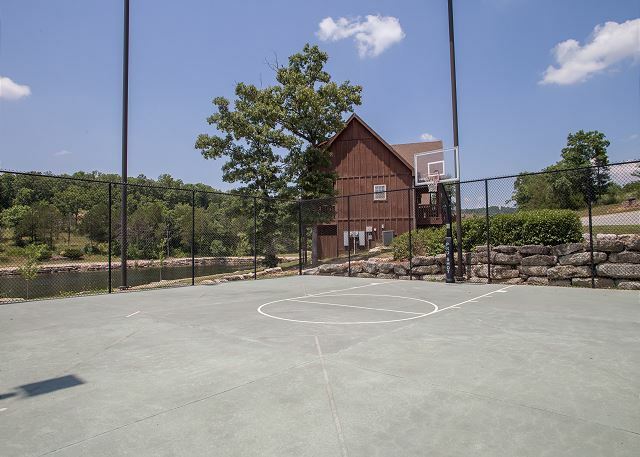 A trip to the Ozarks isn't complete without tons of family friendly fun! 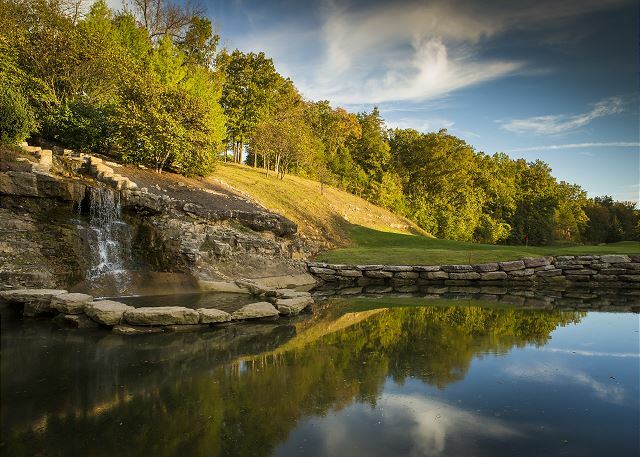 Stonebridge Resort is only minutes away from Silver Dollar City, the area's best amusement attraction! 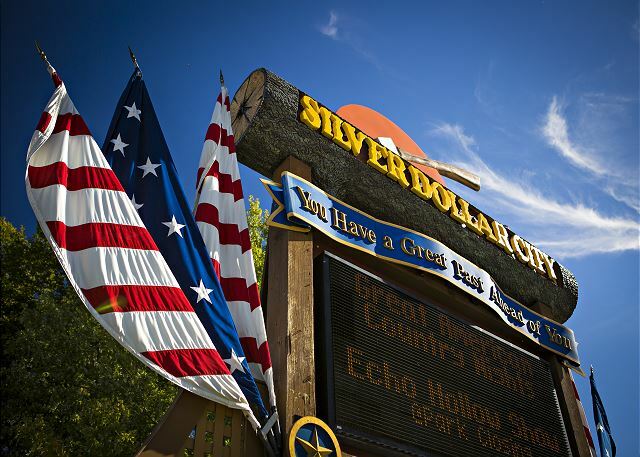 Themed to the late 1800's, Silver Dollar City has something that everyone in the family will adore. From adrenaline pumping rides to side-splitting entertainment along with delicious cuisine and plenty of souvenir shopping, you plenty of memories to make when you stop by! Sunset knows how to make sure you have the most sensational vacation possible! Call us to book today! The house was just great for us, very spacious, beautiful...everyone had a bedroom. We ate, played games..toured Branson...Lot's of family time. We are very happy to hear that you had such a great time with your family while staying with us. Thank you for taking the time to right this review, O'Deana, and we really hope you'll stay with us again during your next trip to Branson! Perfect place for medium size group!! we had 10 people and there was PLENTY of room and everyone felt like they had their own space. The place is absolutely beautiful and very clean. Owners are very organized and instructions are easy. Only complaint would be not enough cooking utensils such a spatulas and big spoons and such. 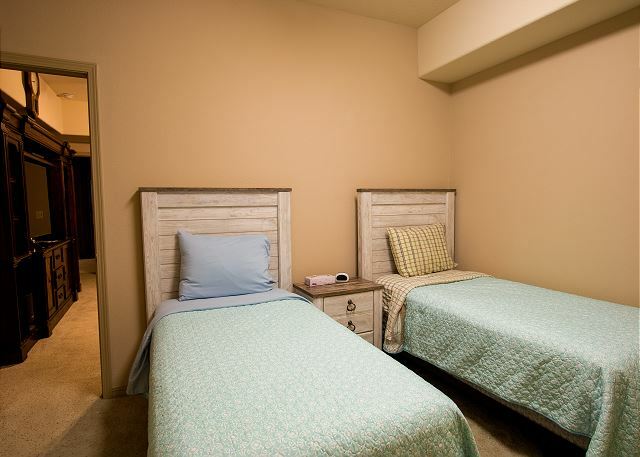 We couldn't be happier knowing that you had plenty of room and fun during your stay with us. We really hope to host you again on your next trip to Branson, Charlyn! 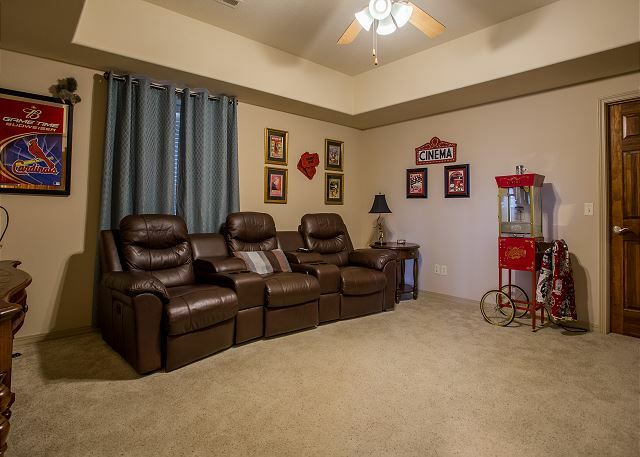 This property was perfect for our family! 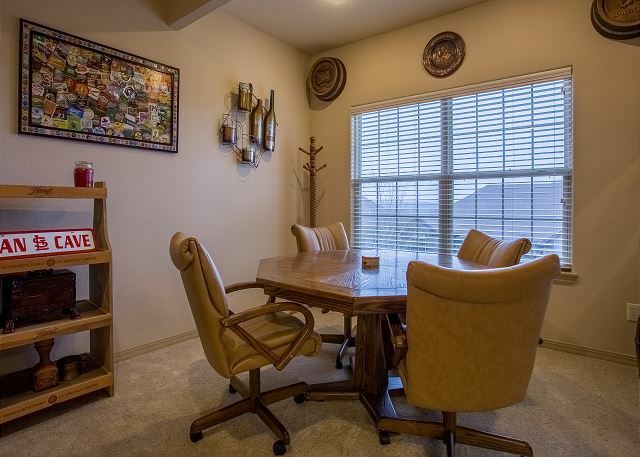 With 12 people ranging from 1-mid 70's this property was spacious enough for all of us, while still allowing for great quality time! 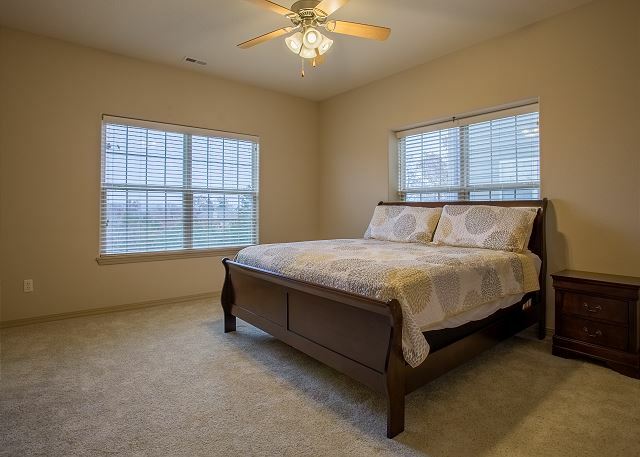 The house was extremely clean and furniture very comfortable. 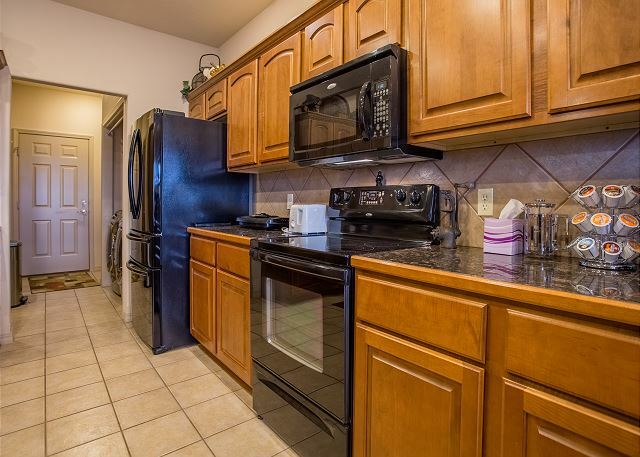 The kitchen had everything you could ever need. We took full advantage of the media room watching lots of movies and singing karaoke! We cannot wait to come back and stay again! 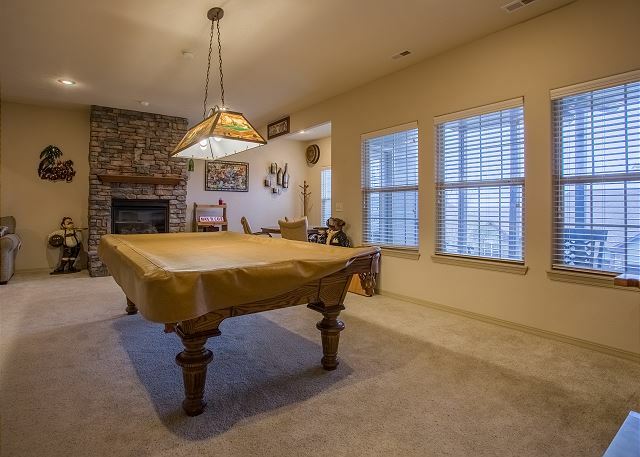 This unit is better than most that we&#x2019;ve stayed at in Branson or elsewhere. 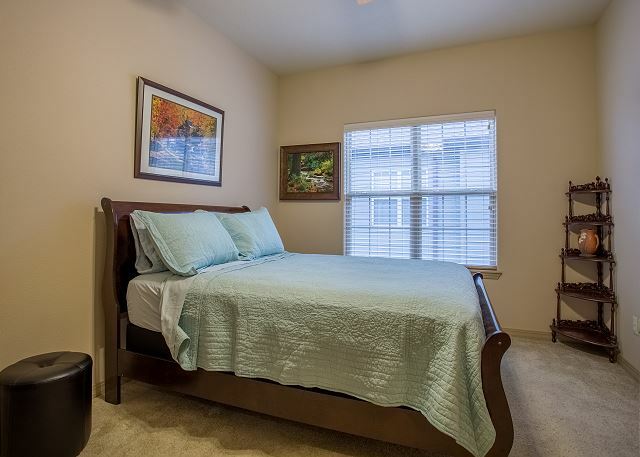 The size of the unit is huge&#x2014;plenty of room to stay, sleep, play and eat for a larger group. And the little things are tended to as well&#x2014;including laundry detergent and an extra tank of LP gas for the grill. 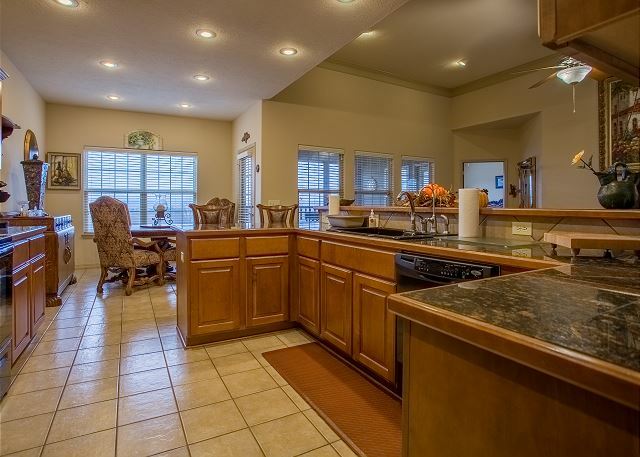 Well worth the cost and we&#x2019;ll definitely consider this villa next year&#x2019;s stay in Branson. Two items keep this from 5-star and these won&#x2019;t affect everyone: the downstairs room with the two twin beds is a closet (no power outlet, no cooling vent) and they would not let us into the unit before the 4PM check-in time (even though it was clean and empty). This house was perfect for our long weekend family get together! It was easy in with clear directions, the house had EVERYTHING we needed (especially the kitchen), every person had their own bedroom, the house stayed cool on an extremely hot triple-digit weekend, the pool was right down the street, and it had comfortable beds! Outstanding villa for extended family. 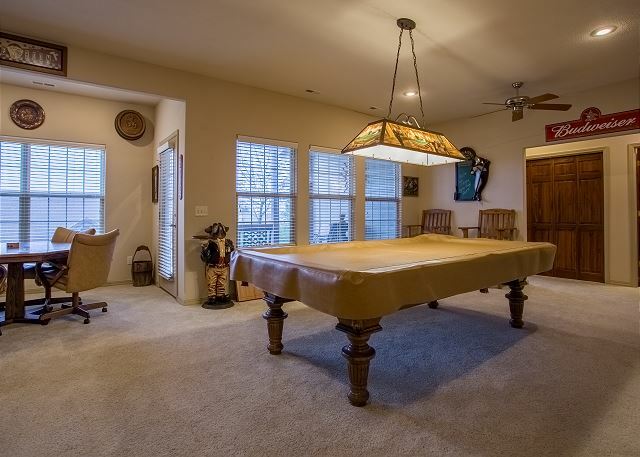 Made good use of the pool table and card table downstairs. 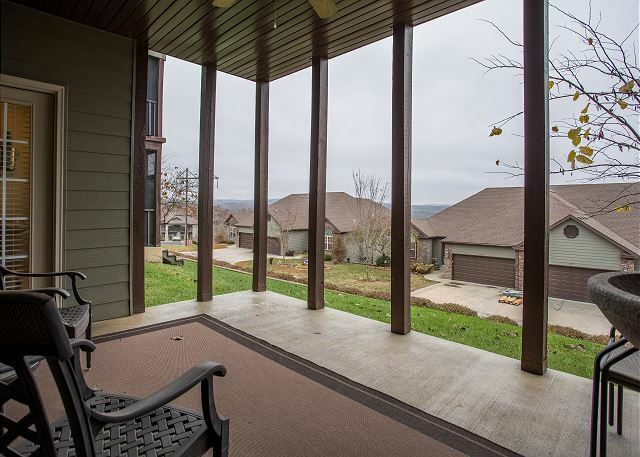 View of the Ozark hills from the deck was excellent. Only negative item was at the Stonebridge playground where our daughter received a cut from the slide which was cracked. Needs to be repaired ASAP. Thank you for your review, Mel. We're glad your family had a good time. We're reported the cracked slide to the Property Owners Association so they can address this. Thanks for letting us know. It was an awesome experience. Never stayed in a place where so many things were provided. This place has everything you need. 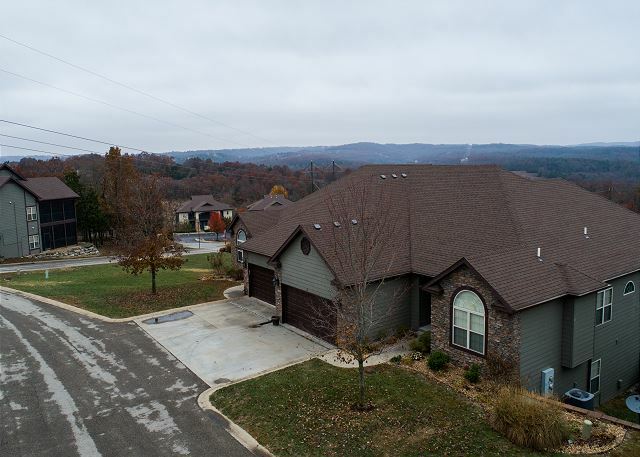 We enjoyed our time in this home and took advantage of the parks in the neighborhood and nearby Silver Dollar city.